I’m at the Dublin Web Summit, where as you’d expect, plenty of businesses have set out stalls to promote their wares. 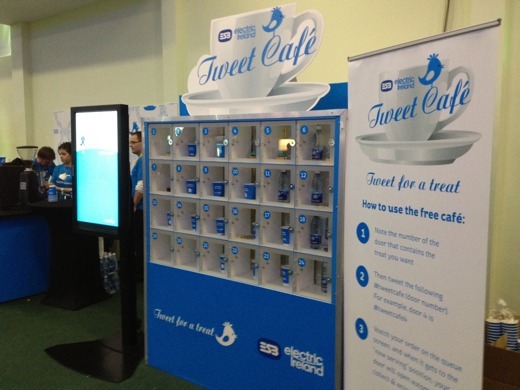 Energy company Electric Ireland has taken a more imaginative approach than the usual ‘a few leaflets and a video’ approach, setting up a ‘Tweet Cafe’. 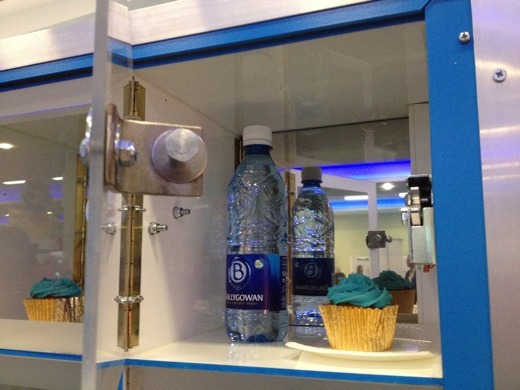 Here’s how it works: A selection of food and drink is available in 24 boxes. 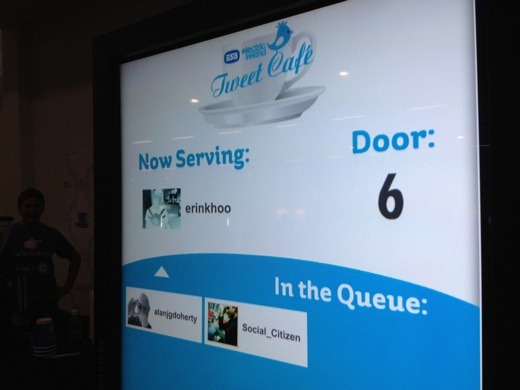 Each box has a hashtag – simply send a tweet containing the hashtag for the snack you want. Your order is then added to the queue. When your turn arrives, the door opens. It’s a simple idea, nicely executed and it’s certainly got people talking about Electric Ireland here. I spoke to Edel McCarthy from the company to find out more – take alisten to the audio below.